In 2007, Ryan McGarvey released his debut album, Forward In Reverse, which was recorded when he was only 19 years age. The album was as strong of a debut you can imagine from a young guitarist. 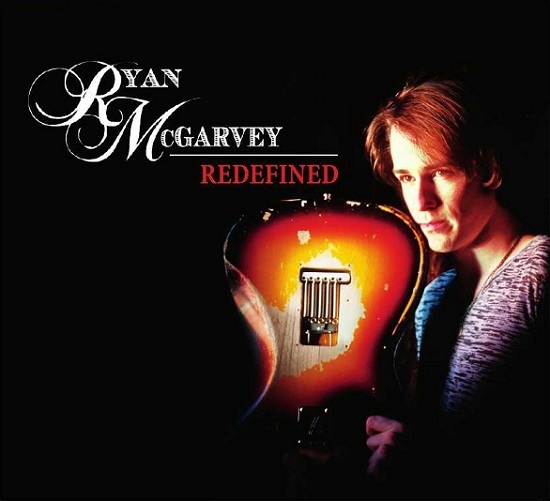 Now 25, McGarvey is back with his highly anticipated sophomore album, Redefined. It’s a fitting title as McGarvey’s sound has evolved into more of a straight up rock style, though still blues based. Redefined begins with “All The Little Things,” a nice rocker that does a good job of setting the tone for the album. The upbeat “Never Seem To Learn” and euphoric “My Sweet Angel” are next and if there was any justice they would receive airplay on mainstream rock radio. Other highlights include “Prove Myself,” a groovy jam that really puts McGarvey’s guitar mastery on display and “So Close To Heaven,” which should become a McGarvey staple for years to come. Many young guitarists struggle to separate their sound from the rest of the pack, but McGarvey has come up with a signature sound that is distinctively his own. Redefined will go down as one of best albums of the year. Names like Bonamassa, Trucks, and Sayce are often mentioned as modern day guitar heroes, and it won’t be long until Ryan McGarvey enters the equation. I think your sound is great, it got more of a country flare, then a contemporary blues; blues sound. This is my opinion only….I am sure if you send something to JB; he will respond and probably jam with you. Can’t find someone more humble than he is. Till then, Rock on; and I will look for ya !